The parents of two Canadian-born boys — both younger than three — say their children keep getting flagged on the "no-fly list" as potential security risks, and have been since they were newborns. The parents of two Canadian-born boys — both younger than three — say their children have been flagged on the "no-fly list" as potential security risks since they were newborns. They told CBC News about their children's experiences after seeing the story of a Markham, Ont., boy whose name triggered a security alert when checking in for a flight at Toronto's Pearson airport. Zamir Khan of London, Ont. says his son Sebastian was first flagged on the no-fly list when he was six weeks old, and it has happened every time he flies with the boy, now 21 months old. "We were told our son's name is on a governmental-watch list, and a phone call has to be placed to verify that he is not the actual threat that is listed," Khan told CBC News in a phone interview. He said it typically takes 15 to 20 minutes for the airline to receive the all-clear that the boy is not a security risk, even though the child is sometimes asleep in a car seat. "It's a bit humiliating," Khan said. "Primarily we worry that this is only going to get worse for him as he gets older." Khudija Vawda of Toronto said the security delay first happened with her son, Naseer Muhammad Ali, when he was 10 weeks old. He's now about to turn three. "It makes me mad," Vawda told CBC News by phone. "I'm born in Canada, my husband's born in Canada, my son's born in Canada, and just because of the name he can be profiled like that, it just makes me angry." Syed Adam Ahmed, 6, of Markham, Ont. 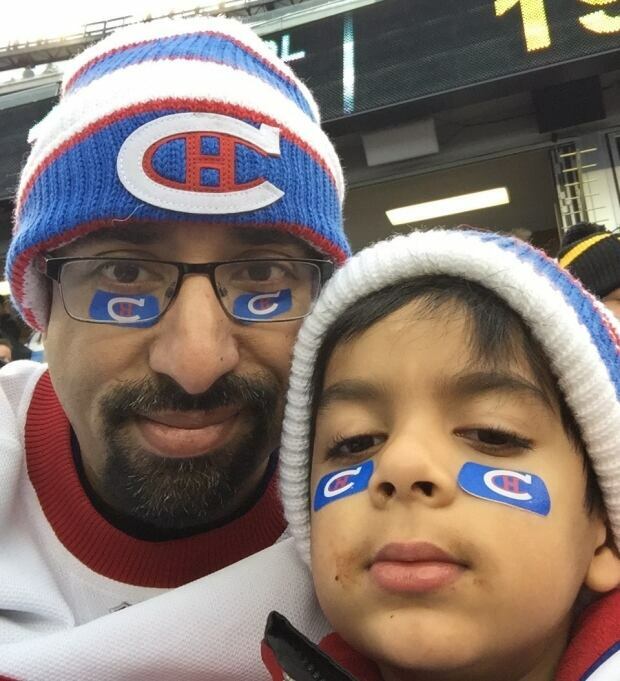 was travelling with his father to see the Montreal Canadiens play the Boston Bruins in the NHL Winter Classic on New Year's Day. His father tweeted a photo of the computer screen showing the boy had been flagged on the "Deemed High Profile" list. Public Safety Minister Ralph Goodale has promised to review the case. Canada's no-fly list, officially called the Passenger Protect Program, is maintained by Public Safety Canada. The agency acknowledges on its website that "passengers who have the same name (or similar name) as a person listed under the Passenger Protect Program" may experience delays at check-in. But there is little those passengers can do about it. "If you have experienced frequent delays during identity screening at airport check-in or have been denied boarding, but have not received a written direction under the Passenger Protect Program, please do not apply for recourse as you are not eligible and your application will not be processed," says the Public Safety Canada website. The government suggests passengers contact the airline to "see what steps can be taken prior to arriving at the airport to alleviate any potential delays and inconveniences." Vawda said some people have suggested she change her son's name. "I feel like I shouldn't have to go through those lengths," she said. "We don't have anything to hide, so why should I have to change his name? That name means a lot to me and my family and our religion."